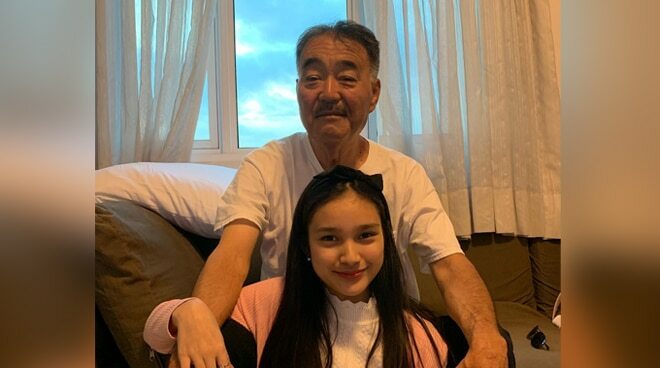 Pinoy Big Brother housemate Karina Bautista has received the answer to her longtime wish after being reunited with her biological Japanese father after nine years. Early this Thursday, April 4, the 16-year-old star took to Instagram to express how glad she is about the recent homecoming of her dad, who she hasn’t seen since the latter relocated to the U.S. when she was just a child. “I remember saying, ‘pero at the end of the day hindi pa rin po siya umuuwi’ 9 years, half of my life and you're here. I missed you and I still miss you. Thank you for making my dream come true. There's no place like home in your arms. To the love of my life, the man who inspires me, to the best dad, I love you,” she wrote, adding that their reunion is a perfect gift for her upcoming graduation ceremony and 17th birthday celebration. Prior to meeting her dad, Karina was reunited with her Filipina mother, who just went home from Hong Kong where she works as a full-time nanny.